In short, the Supreme Court of Georgia concluded that plaintiff did not actually contemplate a lawsuit at the time the remaining parts of the Ford Explorer were destroyed. Whether plaintiff should have reasonably anticipated a lawsuit over the crash due to her deceased husband’s statements to her regarding the tire defect and instructing her to tell the wrecker to save the tire(s) before he died is not easily answered as: 1) the husband did not give his wife a reason to save the tires; 2) the husband did not disclose his opinion that the tires had a design or manufacturing defect which could result in a lawsuit; 3) the husband may have wanted to look at the tire when he became healthy to do so; 4) both the wife and the deceased “expected’ that he would recover; 5) there were “legitimate” reasons not to save the entire car, including the car was totaled with no collision insurance along with expensive storage fees and the wife was focused on her husband’s “well-being in the hospital”; 6) the Plaintiff was not investigating the crash at the time that the Explorer was lost; 7) the Plaintiff was not consulting an attorney at the time that the Explorer was lost; 8) neither Plaintiff nor her husband advised that anyone was acting in anticipation of litigation; 9) no evidence existed that Plaintiff or any person examined the car before it was destroyed; 10) no evidence existed that Plaintiff kept only the one tire because it would help their case; 11) an attorney was consulted by the daughter many weeks after her father died; and 12) the plaintiff’s attorney attempted to save all evidence only to find out that only the tire was saved. The outcome may have been different if: 1) the plaintiff had contacted an attorney immediately; 2) the plaintiff took steps toward litigation including contacting the insurance company or hiring an expert witness; and/or 3) the plaintiff had an attorney and/or expert inspect the vehicle and then immediately destroyed it. 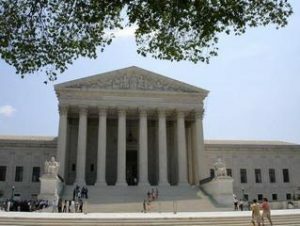 The Supreme Court also noted that Cooper Tire was not prejudiced by the denial of the motion to dismiss as the plaintiff still has the burden of proving her case of defect and causation to the jury without the subject car, other three tires, and the tread from the tire that was saved. What is the importance of this case? First, injured victims and their lawyers are now on notice that they have to behave by essentially the same rules as do defendants as to spoliation charges regarding evidence. Second, injured victims should take immediate action to preserve all possible evidence. Third, injured victims should contact experienced personal injury attorneys to preserve their rights and evidence as soon as possible. Fourth, all expert witnesses (who will testify at trial) should maintain and preserve all work product with regard to inspection and analysis of all relevant evidence. How this will play out in simple soft tissue negligence motor vehicle claims is yet to be seen. But, as this decision revealed, all cases are decided on specific facts and plaintiff’s lawyers and defense lawyers will continue to fight and spin those facts to aid their respective client(s). The Law Offices of Kevin C. Ford is currently accepting car and truck wreck cases throughout the State of Georgia. If you or a loved one has been injured in a truck or auto crash, then please contact us today for a free consult regarding your legal rights and discussion of your particular set of facts at 404-869-6969 or 800-LAW-FORD.